One of the creators of the Half-Life franchise has said that the Nintendo Wii games console has more potential and is "more valuable" than both the Sony PlayStation 3 and the Microsoft Xbox 360. Gabe Newell at Valve made the statements in an interview with Game Informer. Newell says that Valve currently has nothing in production for the Wii, but he thinks the Nintendo console "represents big opportunities as a whole". He said that his company's absence from the Wii games market is "an obvious hole in our strategy". "I think it's more valuable. I think it's more interesting than just a graphics chip - CPU combination," he said. But Newell also said that porting PC games to the Wii is much more difficult than with the Xbox 360 and even the PS3. 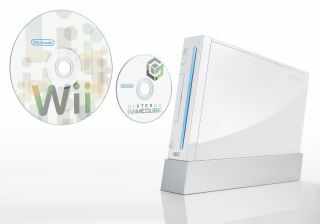 "I think the Wii represents more of a challenge because of its input. You can think of the Xbox 360 as pretty much a PC and a PlayStation as kind of a PC. The Wii gives you a bunch of problems that don't fit into that model. You can't think of it as graphics, CPU, texture bandwidth scaling, you have to think of it more fundamentally, and I think it's more valuable."